With an integrated high-resolution camera, inclinometers, compass, GPS receiver, and weather-proof housing, the Polaris can be deployed in many environments and orientations. 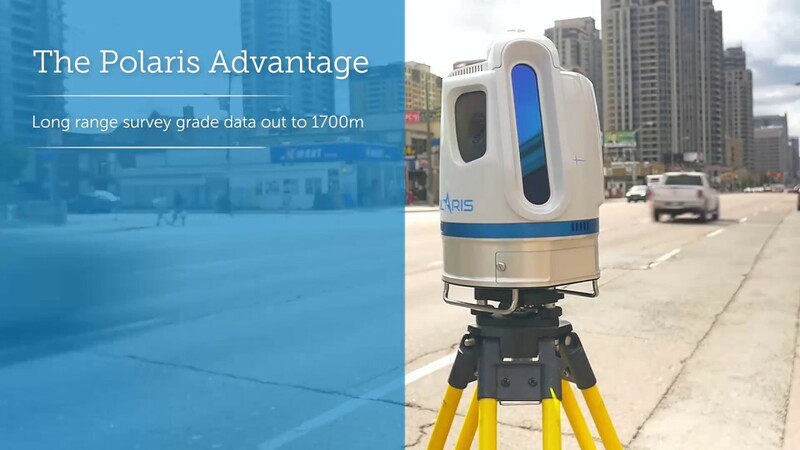 Whether on a tripod, vehicle, or moving platform, the outstanding performance of the Polaris makes it the most versatile terrestrial laser scanner on the market. Owners can select from three possible models to get a system that fits their needs: the high-speed TLS-250, the flexible TLS-750, and the long-range TLS-1600.The Optech Polaris TLS delivers accurate, precise data faster than ever before, bridging the gap between small, light-weight, short-range sensors and large, long-range, pulsed time-of-flight scanners. Built with surveyors in mind, the Polaris TLS has a user-friendly on-board operator interface with menu-driven operations, plus all the built-in features needed for quickly collecting and referencing data.